Tom Cruise and Katie Holmes join other celebrity power couplesÃ¢â‚¬â€?Victoria and David Beckham, along with Jada Pinkett-Smith and Will Smith. The Ã¢â‚¬Å“Welcome to Los Angeles Party” was thrown by Cruise and Smith for the Beckhams in 2007. 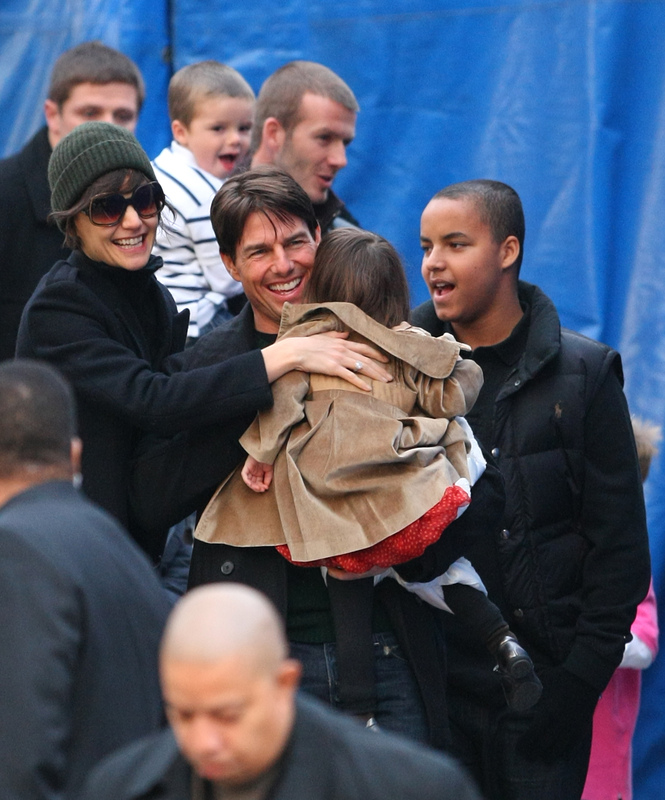 Katie Holmes and Tom Cruise laugh with their daughter, Suri. David Beckham carries his son in the background. Tom Cruise walks briskly, while Victoria and David Beckham are seen in the background. Tom Cruise leads the way with Victoria and David Beckham not far behind. Tom (along with his wife Katie Holmes) joined the Beckhams for a night at the theatre in New York. David Beckham is all smiles as he and his wife, Victoria Beckham, join Tom Cruise and Katie Holmes for a night out. David Beckham and Tom Cruise headed out with their wives, Victoria Beckham and Katie Holmes, for a night at the theatre in New York City. The beautiful Katie Holmes is surrounded by Hollywood hotties. Her husband Tom Cruise is on the right and dapper David Beckham on the left. 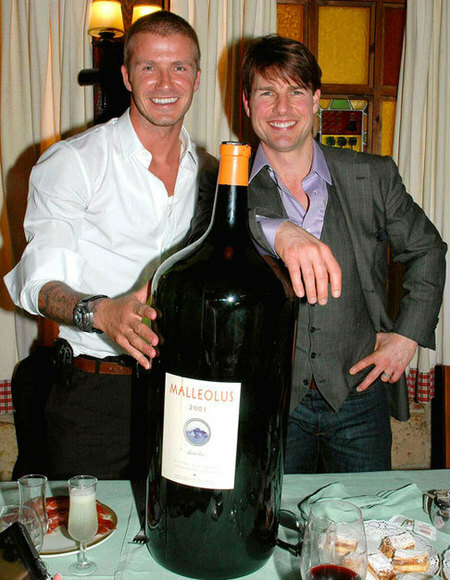 Buddies David Beckham and Tom Cruise pose with an oversized Malleolus wine bottle. Tom Cruise and Katie Holmes are joined by pals Victoria and David Beckham at the Met Gala Ball in New York. Katie wears a beautiful red gown while Victoria dons a white lace number. Hollywood pals David Beckham and Tom Cruise dress up in tuxedos for the Met Gala in New York City. Celebrity powercouples Tom Cruise and Katie Holmes along with Victoria and David Beckham get all decked out for the Met Gala in New York. Tom Cruise and David Beckham are surrounded by the paparazzi as they head to the theatre with their wives, Katie Holmes and Victoria Beckham. Tom Cruise and Katie Holmes celebrated the Los Angeles arrival of Victoria and David Beckham with a celebrity-studded bash held inside the Musuem of Art’s Geffen Contemporary. The party took place after David’s debut with the L.A. Galaxy soccer team. 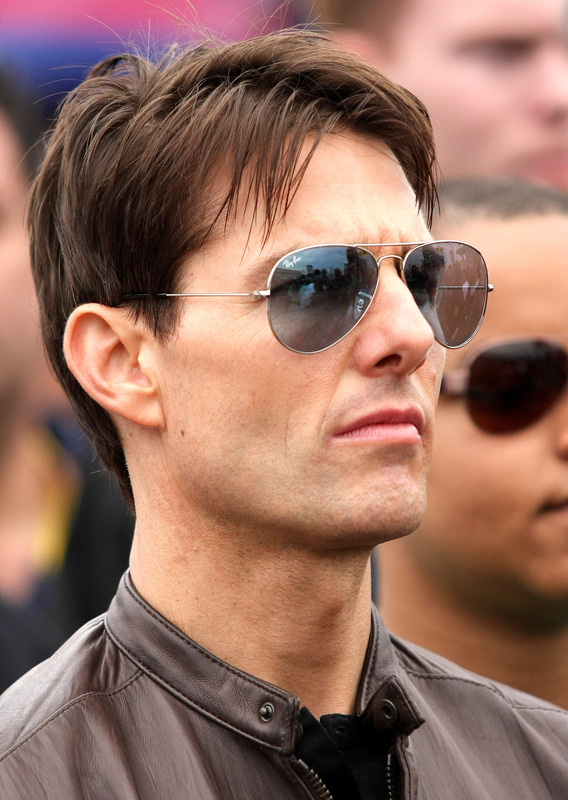 Hollywood superstar Tom Cruise stares out in the distance through his classic aviator sunglasses. Tom Cruise hits the red carpet at the Mexico premiere of his movie, Valkyrie. The movie is about an unsuccessfull attempt by German soldiers to kill Hitler during World War II. 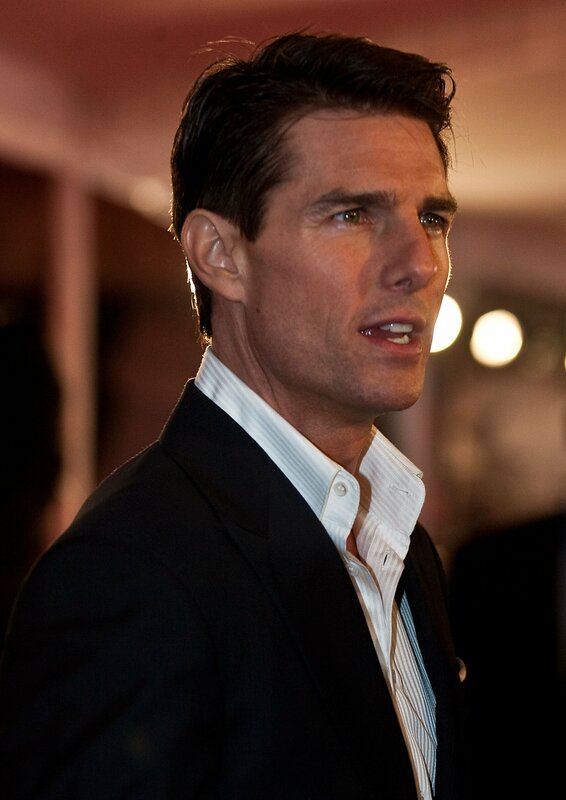 Tom Cruise signs autographs for fans at the movie premiere of Valkyrie in Mexico City in February 2009. David Beckham playing soccer for AC Milan. David Beckham has his eye on the ball on the soccer field while playing for AC Milan. Soccer player David Beckham runs on the sand, while showing off his tattoos. Tom Cruise looks handsome in his suit. He stares off into the distance, perhaps waiting for his wife Katie Holmes. 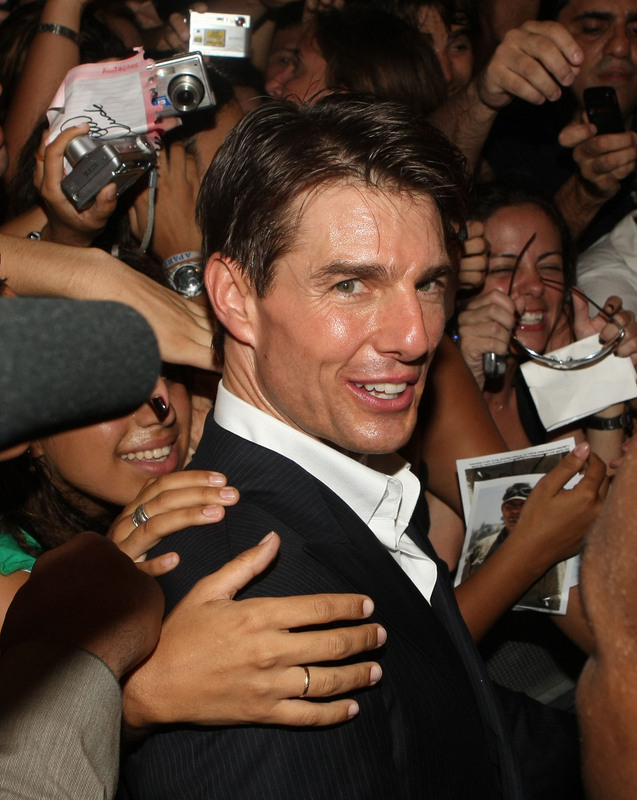 Tom Cruise is surrounded by adoring fans at the Mexico Premiere of his film, Valkyrie. The event took place in Mexico City in February 2009. David Beckham and his wife Victoria Beckham (otherwise known as Posh Spice) are often on best dressed lists. Here David wears a grey suit while Victoria dons a black strapless dress. Katie Holmes, looking beautiful as always, joins her husband Tom Cruise at the movie premiere of his Valkyrie in Mexico City. 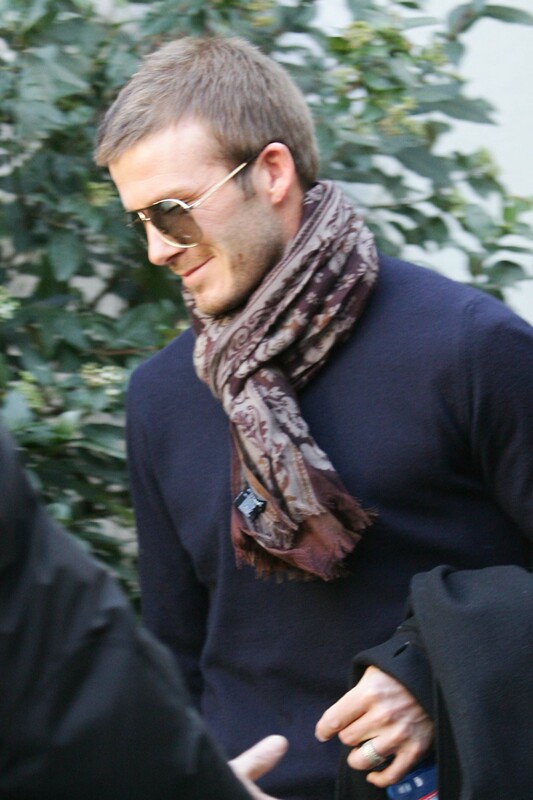 David Beckham stays warm in a brown printed scarf. He adds a pair of aviator sunglasses to finish off his look.